1. 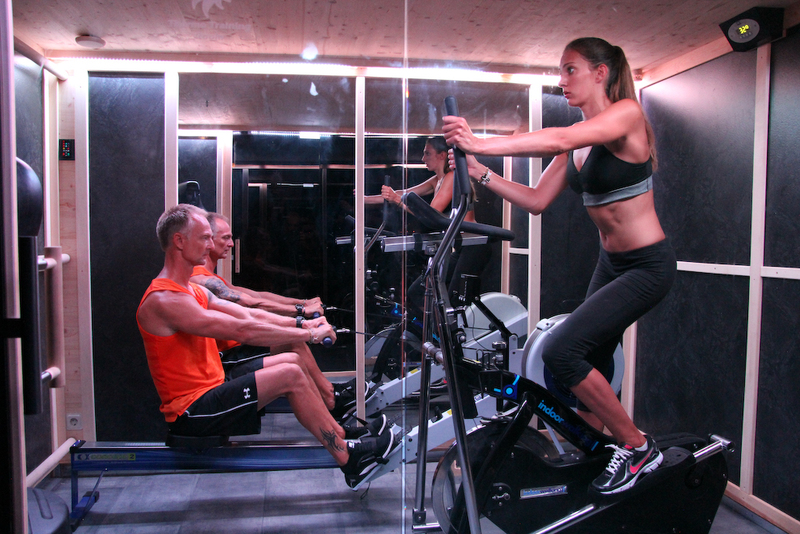 Are there any risks exercising in the cabin? Anyone in good health can exercise in the cabin. There are risks for persons with cardio vascular conditions, venous impairment (varix, phlebitis - both heat and exercise increases blood flow), untreated hypertension or untreated diabets (the raised temperature can provoke major swings in blood sugar). If in doubt please consult your doctor before using the cabin. 2. What are the contraindications and recommendations if pregnant or breast-feeding? Medical advice recommends that heat therapy should be avoided when pregnant. Temperatures above 38.9°C should be avoided throughout pregnancy. There are no particular contraindications of heat therapy when breast feeding if the temperature is well tolerated. • If in doubt, please ask your doctor before using the cabin. 3. How often should one use the cabin to enjoy full benefit? For someone with a beginner or intermediate level of fitness a session every two/three days is sufficient. Advanced or professional athletes can enjoy more frequent sessions (even daily). 4. How long does each session last? 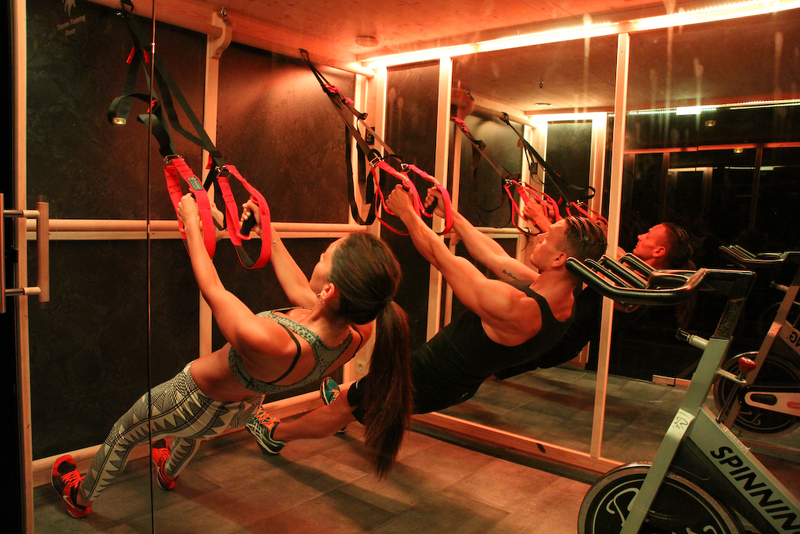 It depends on your level of fitness and the type of work-out but generally speaking beginners or intermediate sessions should last between 30/35 mins and up to an 1hr, or more for advanced or professional athletes. 5. Are infra red rays dangerous to health? Heating with the infra red system (IR-C long waves) is medically approved (class IIa / CE 0297) and does not represent a risk for your health. 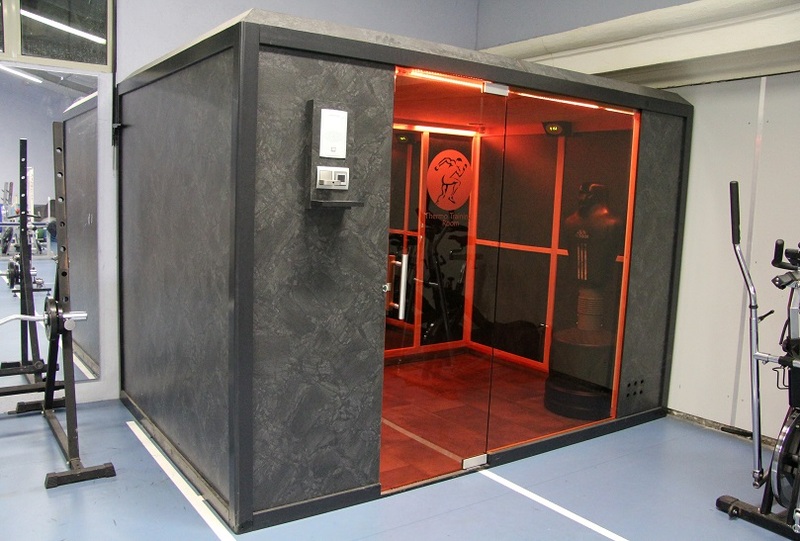 For instance, this infra red system is commonly used in maternity wards to keep newborns warm. 6. Are the IR panels washable ? Yes, with a damp sponge. 7. Can one use any type of equipment inside the cabins ? Yes, as long as they fit comfortably within the cabin and especially as the dimensions of the cabin can be customized according to needs and sports objectives. 8. How much does the Thermo Training Room cost? As each cabin can be customized, the end price depends on the dimensions, finish and options that have been chosen. For example, a small 4m2 cabin (2.70m long x 1.50m wide x 2.20m high) designed for one person to workout is sold (delivery and assembly in France included) at the price of 19.750€ TTC (all taxes included). Specific cost to be added for assembly and delivery outside France. 9. What is the cost of electricity consumption during a training session? The cost for one hour’s use of a 5/6m2 Thermo Training Room is approximately 1€. 10. How long does the pre-heating last? To get 40°C inside the Thermo Training Room, the pre-heating is approximately 30/40mn.